Dependable Graham Air Conditioning, Inc. is proud to serve the Costa Mesa community! About Costa Mesa, CA - Happy to be your hometown Heating & Air Conditioning Contractor! Costa Mesa, a once semi–rural farming community, is located in Orange County, California. Today, the city is pretty much a suburban, edge city with its main industries being commerce, retail, and some light manufacturing. 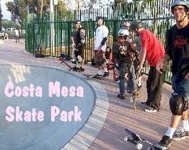 Costa Mesa has what is referred to as a Mediterranean climate with average summer high temperatures in the mid 80′s and winter low temperatures averaging in the mid 40′s, and they receive an average of less than 11″ of rain yearly. Costa Mesa is home to many social, recreational, and educational amenities, such as the world famous South Coast Plaza and the Segerstrom Center for the Arts (formerly the Orange County Performing Arts Center). The city is also home to several other points of interest including three great golf courses, the Samueli Theater, South Coast Repertory Theater, Volcom Skatepark, The Renee and Henry Segerstrom Concert Hall, Noguchi Gardens, Orange County Fair & Event Center, Fairview Park and the Pacific Amphitheater. Among the many big businesses located in Costa Mesa are Hurley International, Volvom, Big Dog Motorcycles, Billabong International, and the Automobile Club. The city is also home to Orange Coast College, Vanguard University and the Whittier School of Law. Several famous people, including Olympic swimmer Mike Barrowman, singer/song writer Bill Madden and author Jason Thornberry, have called Costa Mesa home.